The bunch of the fifth edition of La Course by le Tour de France powered by FDJ rolled out of Le Pâquier in Annecy - a town known as the Venice of the Alps - at 9 am. 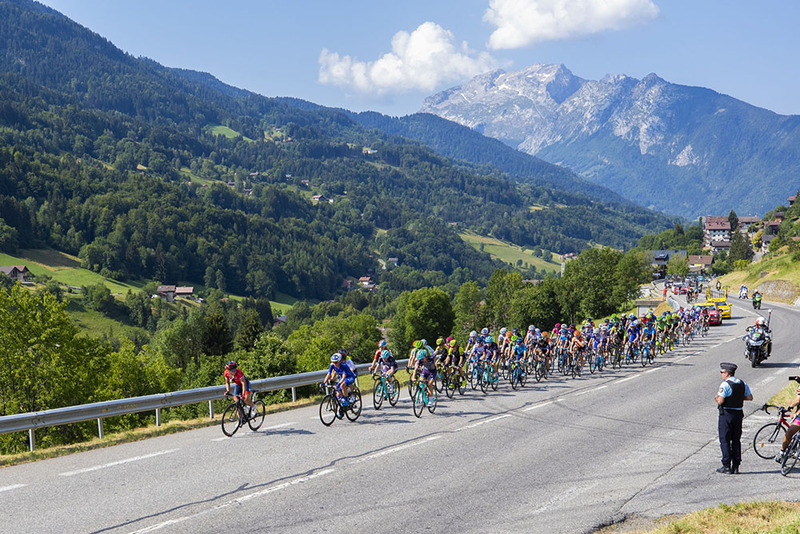 The 112 riders had a bucolic start to the race as the 20-team peloton rode around one of the purest lakes in Europe. Shortly after leaving Lake Annecy behind 16 kilometres into the race, the ladies faced the category 4 Col de Bluffy (1.5 km at 5.5%), the first of four climbs on the course. The entire course to Le Grand-Bornand, a resort in Haute-Savoie, featured a total elevation gain of 2,435 m. American Ruth Winder (Team Sunweb) went over the top of the first climb of the day in first place. It was gruppo compacto for the first 30 kilometres despite a series of attacks. Malgorzata Jasinska (Movistar Team) crowned the Côte de Saint-Jean-de-Sixt (5.5 km at 4.9%) in first place. The Pole pushed hard on the descent and escaped together with Finn Lotta Pauliina Lepistö (Cervélo Bigla), Canadian Leah Kirchmann (Team Sunweb) and American Leah Thomas (UnitedHealthcare) as the race headed to Bonneville. Meanwhile, favourite Anna van der Breggen's Boels–Dolmans squad set the tempo in the peloton, letting the gap grow to 2m30s. 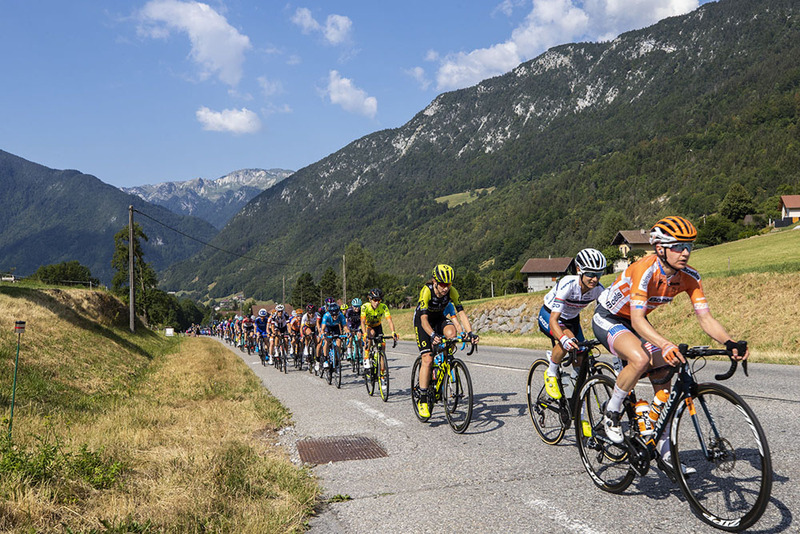 By this point, Australian Shara Gillow (FDJ Nouvelle-Aquitaine Futuroscope) and Brit Anna Christian (Trek–Drops) were riding in between the breakaway and the main group, 1m15s behind the leaders, as the peloton wove its way through the Arve Valley towards the Col de Romme. The 8.8 km ascent, which will also be tackled by the Tour de France riders, is a category 1 climb with an average gradient of 8.9%. Ludwig added a minute to her margin thanks to a daring 6 km descent to Le Reposoir, the start of the category 1 Col de la Colombière (7.5 km at 8.5%). The favourites lit the fireworks on the first slopes of La Colombière with a flurry of attacks. 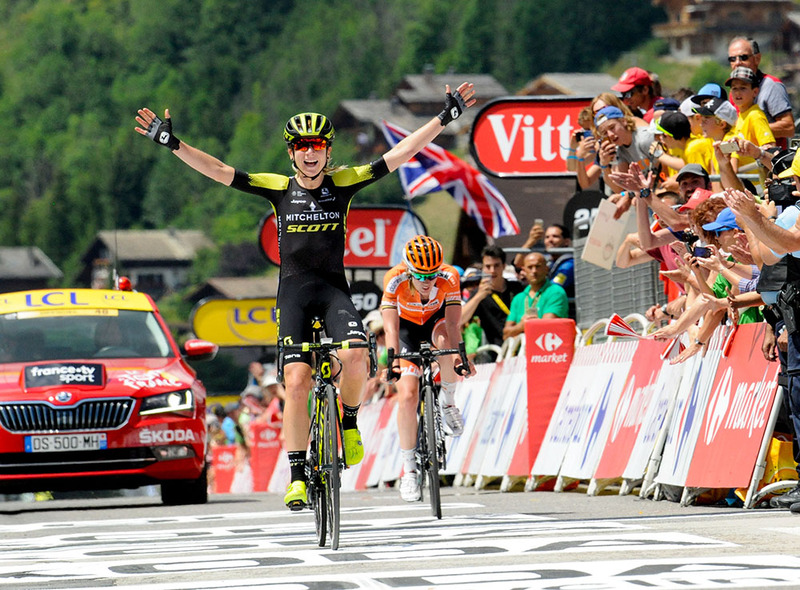 A three-woman group composed of defending champion Annemiek van Vleuten (Mitchelton–Scott) Anna van der Breggen (Boels–Dolmans) and Ashleigh Moolman-Pasio (Cervélo–Bigla) powered away from the rest. A concerted effort by the three saw them move into the lead one kilometre before the summit. 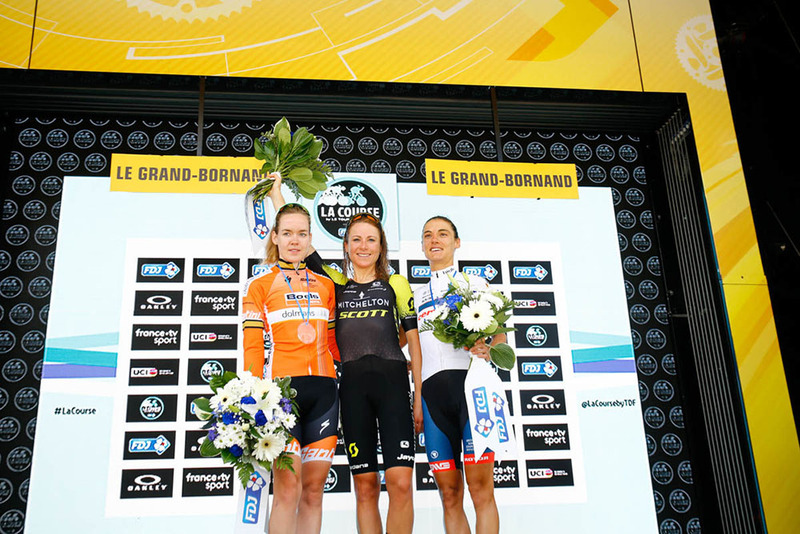 Anna van der Breggen seized the opportunity to up the pace and drop Van Vleuten and Moolman-Pasio. The winner of the Flèche Wallonne and Liège–Bastogne–Liège crowned La Colombière (14 km before the line) with a small margin over Van Vleuten. In the end, Van Vleuten fought back to claim her second consecutive win by a hair's width. 6 Katarzyna Niewiadoma (Pol) Canyon//SRAM Racing s.t. 8 Amanda Spratt (Aus) Mitchelton Scott s.t. 10 Erica Magnaldi (Ita) BePink s.t. 23 Christine Majerus (Lux) Boels Dolmans Cyclingteam s.t. 31 Antri Christoforou (Cyp) Cogeas-Mettler Pro Cycling Team all s.t. 38 Victorie Guilman (Fra) FDJ Nouvelle-Aquitaine Futuroscope both s.t. 40 Elizaveta Oshurkova (Rus) Cogeas-Mettler Pro Cycling Team s.t. 43 Karol-Ann Canuel (Can) Boels Dolmans Cyclingteam s.t. 61 Ruth Winder (USA) Team Sunweb all s.t.